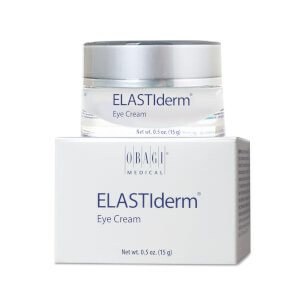 The proven ELASTIderm Eye formulation you love, now with the benefits of caffeine. This next generation, targeted eye-area therapy helps improve the strength and resilience of skin around the eyes. Caffeine helps reduce the appearance of under-eye puffiness. Bi-mineral Complex helps replenish elasticity and support collagen for tighter, smoother-looking skin. Malonic Acid helps stimulate the production of healthy skin cells for overall skin improvement. Soothing, innovative rollerball technology optimizes delivery of serum for firmer, youthful-looking eyes. 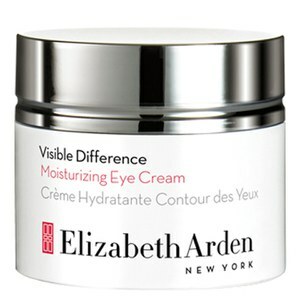 After cleansing the skin, gently roll ELASTIderm Eye Complete Complex Serum on the outside and underneath the eye area. Smooth in until thoroughly absorbed. Avoid getting into eyes. For best results apply 1-2 times per day. Water (Aqua), Dipropylene Glycol, Ethoxydiglycol, Caffeine, Malonic Acid, Zinc Carbonate, Arginine, Laureth-9, Copper Carbonate Hydroxide, Hydroxyethylcellulose, Sodium Acetate, Cellulose, Glyoxal, Sodium Hydroxide, Phenoxyethanol, Ethylhexylglycerin. I started using it a month ago and it works really well Especially with puffiness in the morning. Not grease at all.